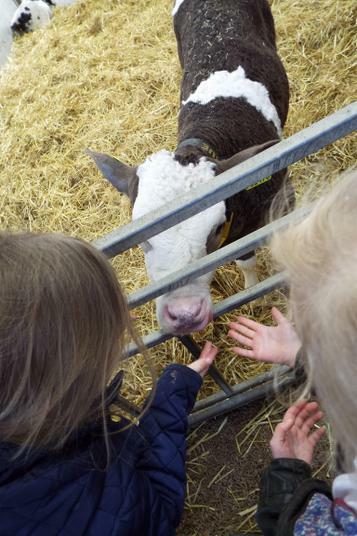 We had a super visit to the farm. 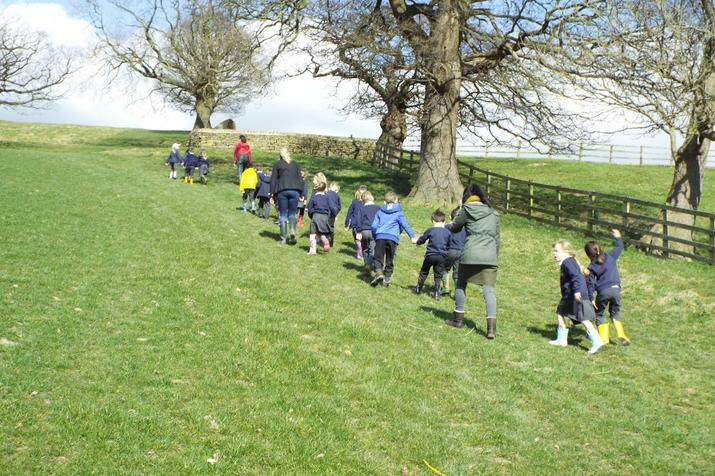 A brisk walk from school up the hill took us there, and we were really pleased to be able to see calves, lambs and lots of potatoes! 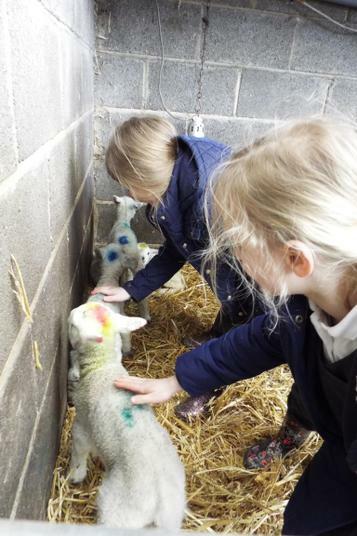 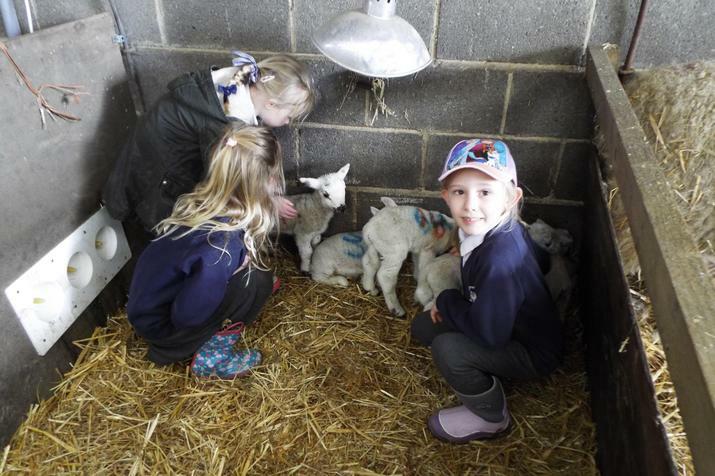 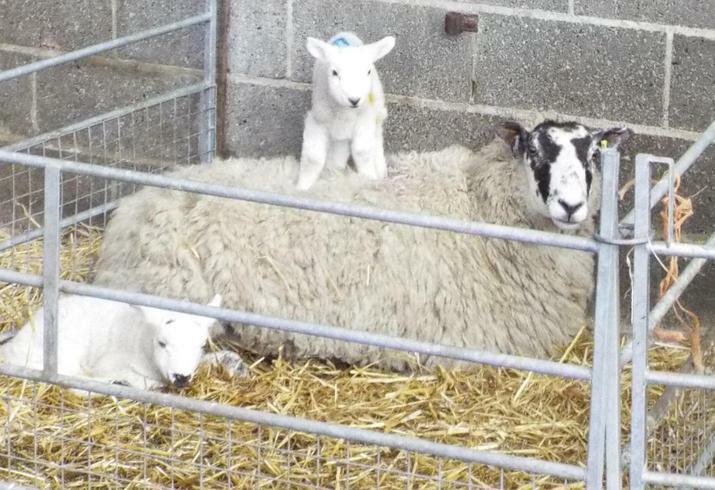 The children loved having the chance to stroke the newborn lambs, and we saw some very young lambs who had been born just about an hour before our visit. 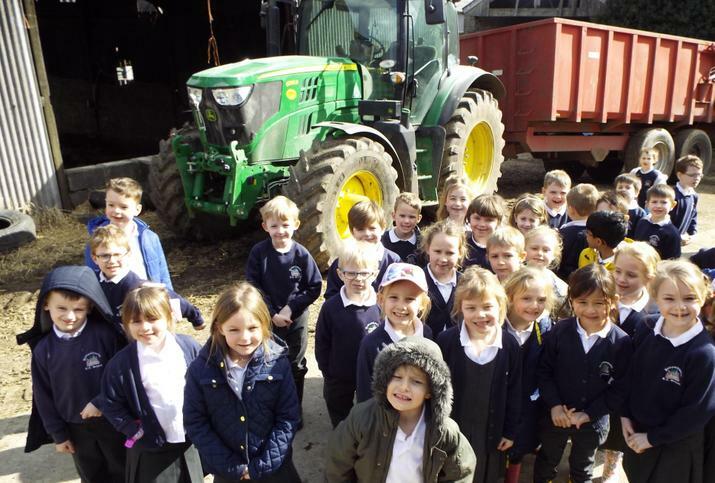 We learned about how the farmer uses technology to help with feeding and the animals' environments. 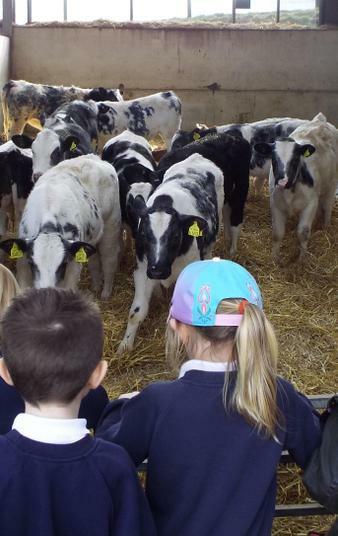 The calves' feed is computer controlled to make sure each young cow gets a fair share of milk. 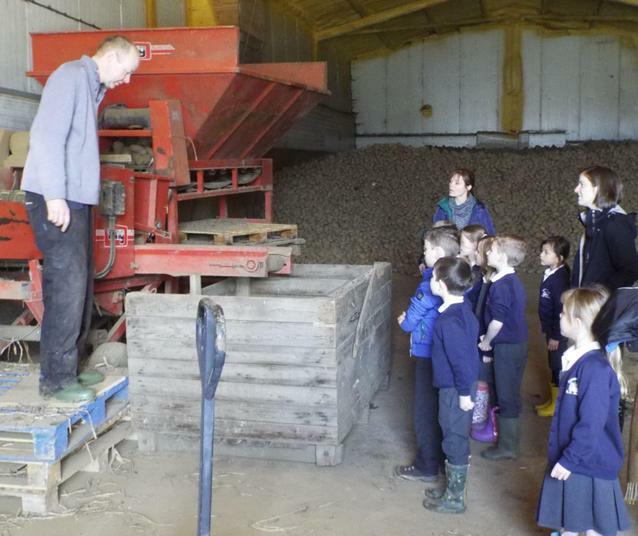 In the potato barn, we worked out there were nearly 180,000 potatoes. 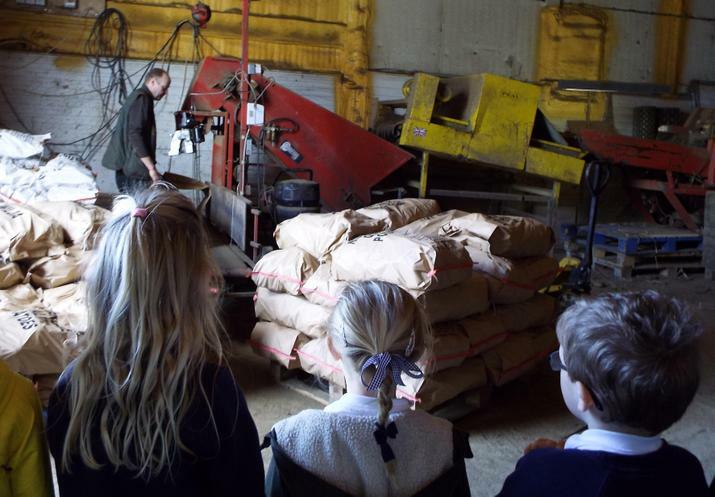 We saw how the machine sorts and bags the potatoes ready for sale. 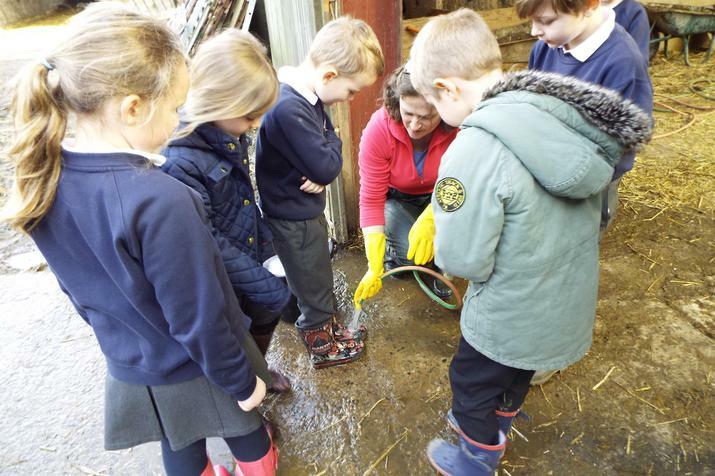 At the start and end of our visit we made sure we were clean and had our wellies washed down. 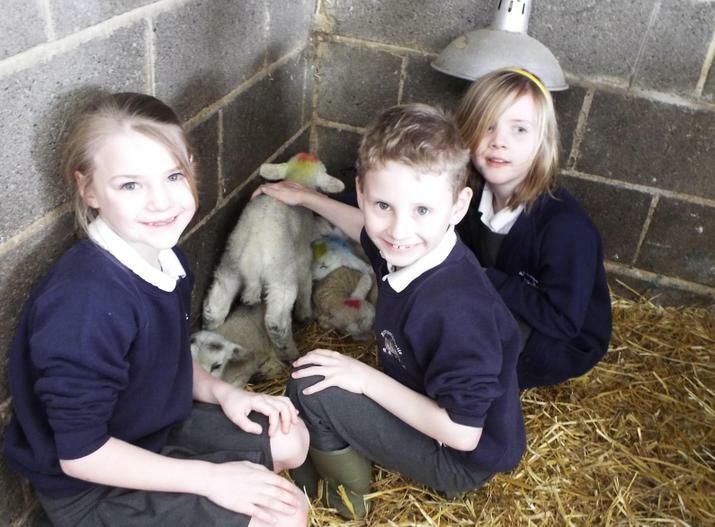 A big thank you to Mr and Mrs Binns for inviting us to visit their farm - we had a lovely day out and learned so much for our science work on animals.